How did the 2013 Q-School Graduates Get On ? This time last year 27 players obtained a Category 15 Card via the Final Q-School event at PGA Catalunya. So how did last year’s European Tour graduates get on in 2014 ? 2 – Finished R2D Top 60, qualifying for the DP World Tour Championship. 6 – Finished R2D 66th – 111th, securing a Cat. 10 2015 ETCard. 1 – Finished R2D > 111th but won a 2014 ET winner (Cat. 5 membership). 9 – Finished R2D > 111th, currently playing at Final Q-School. 6 – Finished R2D > 145th, failed to progress from Second Stage Q-School. 3 – Finished R2D > 145th, status / plans currently unclear. 30% of the players retained their European Tour cards for the 2015 season. 4% won a tournament and therefore have some 2015 playing rights. 33% can still salvage the year by coming through Final Q-School this week. 33% are already seeking alternative playing options for next year. The two ‘stars’ were Fabrizio Zanotti (33rd) and Wade Ormsby (49th), the latter playing his way into the Tour Championship last week in Turkey. If proof were required of the high standards required here it is. The message seems to be Q-School may be hard to get through but staying on the European Tour thereafter is even harder. Let no one tell you that the life of a professional golfer is anything other than a tough one. 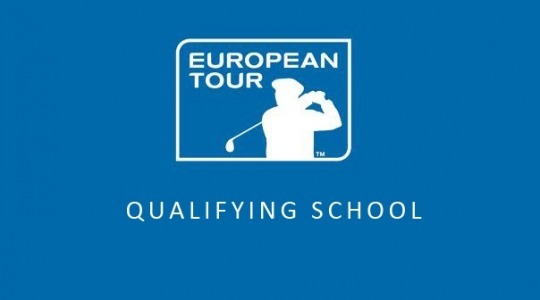 This entry was posted in European Tour Q-School and tagged European Tour, European Tour Q-School. Bookmark the permalink.